Navratri is celebrated for 9 days. Devotees fast during during tose nine days to seek the Goddess blessing's. Here are some foods to avoid during their fasting. 1. Rice, Rice flour, Besan, Wheat flour should avoid. 2. Onion and garlic should not consume in any form. 6. Do not eat bitter food. Read more for tips on navratri fasting. 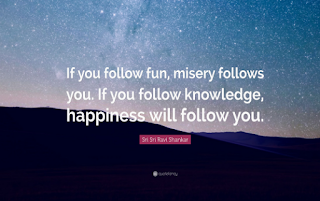 Looking for easy ways to become happier? 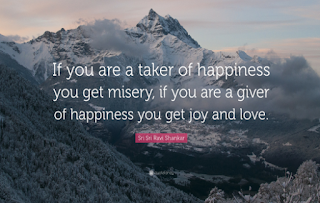 Read this article to learn 6 simple ways on how to be happy and give them a try today. Doing things that you enjoy allows you to reconnect to who you are and have something positive to look forward to every single day. It’s important to schedule at least an hour a day – and more if you can – of you time into your calendar to take care of yourself. Exercise to boost energy. Exercise is one of the most dependable mood-boosters. Even a 10-minute walk can brighten my outlook. 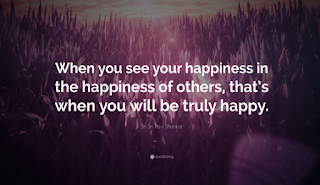 To become happier, try to gain clarity on your emotions, find out what you're feeling and what caused those feelings. Meditation helps you to gain more clarity of the mind and regulates the mood. Meditation also improves your focus, attention, and ability to work under stress. Mindfulness meditation training is useful in decreasing feelings of loneliness. Explore exactly what gives you a sense of purpose and how you want to pursue this purpose to give your life a greater sense of meaning. 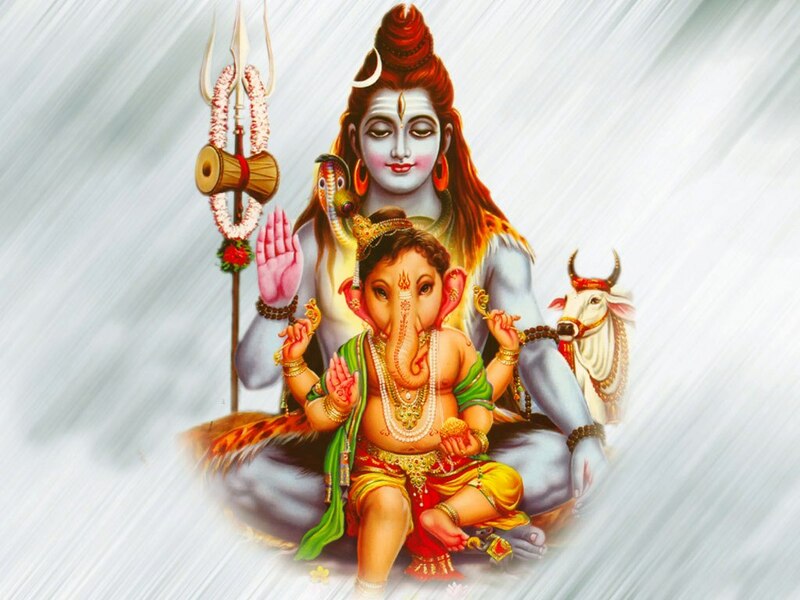 Why Shiva did not recognize his own son Ganesha ? The story goes that Parvati created a boy out of dirt from her body and appointed him to guard the doorstep. The first question that comes is how could Parvati, the Goddess Herself, have so much dirt? Parvati symbolizes the triguna - sattva, rajas and tamas. The entire creation is made up of trigunas. The dosha or imperfections that originate out of the triguna is an obstruction for the functioning of Prakriti. That was the boy that Parvati created to stand guard at the door. Ganesha is the only One unborn unmanifest Reality. He is nirvikalpa and advaita - the formless, undivided One. This is the play and display of consciousness within itself. While Ganpati is certainly the nirakara Parabrahman, he is invoked and worshipped in the mud idol for a period of time for the joy of the devotees. Then the Ganpati is asked to merge back into our heart and the idol is immersed in water. This ritual is observed for the sake of devotees, not for the sake of Ganpati. He who is without form is invoked in a form and then his spirit is invoked back into one's heart as the idol is immersed. Labels: ganesha vs shiva, Why does Ganesha have the head of an elephant?, Why Shiva did not recognize his own son Ganesha ? Krishna means the most attractive . . . It is the divinity that is the most attractive; the energy that pulls everything to it. Krishna is the formless center which is everywhere. Any attraction from anywhere is coming only from Krishna. Often people fail to see the spirit behind the attraction and merely hold on to the outer shell. And the moment you try to possess the shell, you will see Krishna has played a trick and you will be left with an empty shell in your hands and tears in your eyes. Krishna says, ‘I am beyond fire, air, ether but people think I am a human being but I am the consciousness. I am the manifest consciousness’. That’s what Krishna says He is. The ‘chaitanya shakti’ or the consciousness is Krishna. That’s why in Vibhuti yoga Krishna says wherever you find something beautiful know that it is Me there. Because of Me there is strength in the strong, because of Me there is intelligence in the intelligent, because of Me there is beauty in the beautiful. So I am the cause of everything. That consciousness is Krishna. Among the Rudras I am Shankara, I am Skanda, I am Karthikeya, I am everybody and among Pandavas I am Arjuna also. Krishna Tattva is in everything, in everybody. That’s why who is an intelligent person? One who sees Me in everybody and everyone in Me is really an intelligent person. I will always be available for him. This Krishna janmashtami let us celebrate the birth of Lord Krishna which signifies bliss. It is the day when divine joy became manifest. The 10th day is celebrated as Vijayadashami,one of the most important Indian festival. Vijayadashami or Dussehra is celebrated on the marks of victory of Goddess Durga over demons Shumbh and Nishumbh and the victory of Lord Rama over the demon king Ravana. Effigy of 10-headed demon Ravana is burnt on Vijayadashami to celebrate triumph over evil. The Great Navratri festival of India is one of the major tourist attraction not across the country but in the world too. Navratri is festival of nine nights dedicated to Hindu deity Shakti and its nine incarnation and the 10th day is referred as Vijayadashami. Navratri is one of the biggest Hindu festival and celebrated by every state in different forms and names. Idols of Maa Durga: The Nine Nights and 10 days the big idols of Mata Durga and Kali are placed in pandals along the roadside. These Durga Puja pandals are well decorated with artistically depicted idols of Goddess Durga up to 50 feet in height and 40 feet wide. Kolkata durga puja is well famous for its unique celebration of Navratri and its the best place to see Durga Idol and pandals. Decorated Temples: During the Navratri festival, each and every temple to Goddess Durga are are beautifully decorated with flowers, leaves and petals and Idols of Goddess Durga are highly ornated. There are many famous Durga temples situated at different parts of India and celebrate Navratri to honor the Mother Goddess. Whole market and street along with the Durga temples are highly decorated till the next most famous festival, Diwali. Durga Puja: Durga Puja is start with Navgrah puja and Jyoti Kalash Sthapna, a representation of Goddess Durga. The Jyoti Kalash are placed on earthen pots in every Durga Devi temples and in house for 9 days and the light of Jyoti Kalash is burns continuously for nine days and nights of Navaratri. During these nine nights and ten days nine incarnation of Maa Durga are worshipped with different rituals and traditions. The 9 forms of Goddess Durga are Shailaputri, Brahmacharini, Chandraghanta, Kushmanda, Skandamata, Katyayani, Kalaratri, Mahagauri and Siddhidatri. Aarti Dance: The Aarti dance in Durga puja is one of the main ritual of worship and part of Durga puja. During the Durga Puja in Bengal, ritual drummers,dhakis, carrying large leather-strung dhak, show off their skills during ritual dance worships called Aarati or Dhoop dance. Navratri Cuisines: Navratri is a special occassion and during the Navratri special and traditional dishes are prepared and offer to Maa Durga. 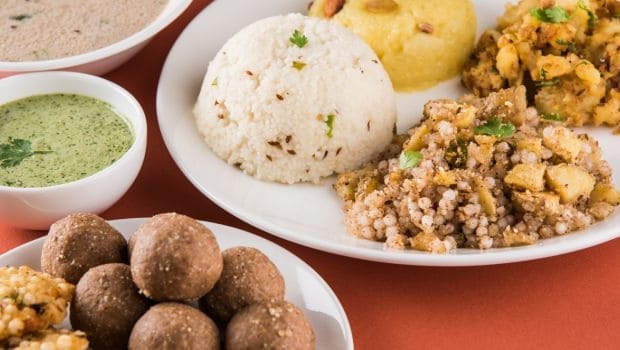 The Navratri special recipes like Sada Aloo,Sabudana Kheer and Singhare Ka Halwa are healthy, traditional and very delicious Navratri dishes. Kanya Puja: The girl child represents the forms of Goddess Durga and worship on the eighth and ninth day of Navaratri as Kanya Puja. Nine young girls representing the nine forms of Goddess are worshiped and offers bhoj and new clothes as gifts as a mark of respect for the Goddess. Ayudha Pooja: Ayudha pooja or Astra Puja celebrated on the ninth day as a part of the Navratri 2014 and Dasara. The books, vehicles, weapons, Bommala Koluvu,tools along with various types of all equipment are worshiped on this day. Garba and Dandiya: The Dandiya Raas and Garba Dance are two most famous traditional folk dance of Gujarat and Vrindavan. Dandiya Raas is performed along with Garba during the Navratri evenings at every place in the country, Specially in Gujarat. Durga Idol Immersion: On the final day of the Durga Puja Festival idol of Goddess Durga to immerse in water bodies. The thousands of devotees bid tearful farewell to Mother Durga which marks the end of the Nine day Durga puja festival and marking the beginning of Vijayadashami. Navratri or Durga Puja, the fast has become an intrinsic part of the festival. Hindus have high regards for Goddess Durga whom they look upon as Ma or Mother of all. Fast to them is a denial of the physical needs of the body and a means to attain spiritual gains besides blessings of the Mother Goddess. Hindus sincerely believe that fasting helps in establishing a harmonious coordination between body and soul. Besides, fasting is also considered to be good for the body. It helps to keep body healthy by giving digestive organs some rest and cleansing the body of toxic materials. The custom of observing Durga Puja Fast is particularly prevalent in Northern India. In the state of Punjab people observe fast for seven days of the nine-day-long Durga Puja Festival. The fast is broken only on the ashtami or navmi day. Some devotees of Durga Ma consume only milk during the fasting days while some only live on fruits. Some devotees observe ‘Ekana’ which means that they take one complete meal during the day. Non-vegetarian food, intoxicating substances and other forms of entertainment are completely avoided during the fasting days. Men observing fast are not supposed to shave. Some also believe in sleeping on the ground and thereby deny themselves all luxuries and comforts.